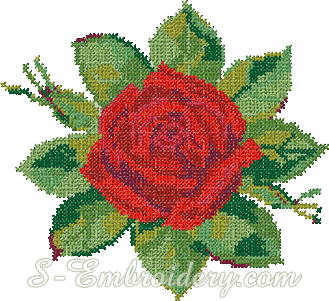 A red rose cross-stitch machine embroidery design. Note: This design version is suitable for the 6 x 10 inches (160 x 260 mm) Megahoop. The design is also available as a part of the SKU 10065 Rose cross stitch embroidery set along with 3 other rose cross-stitch embroideries. If you order the set, you will SAVE 10%.